Usually, when people think about investing in the stock market, they usually think in terms of what they can gain. This is well and good but you have to remember that investing in stocks can make for a very rocky experience. In many cases, investing in stocks can be like a long and protracted upward roller coaster ride. Sure, while you may experience a dip here and there, when you are riding a bull market, for the most part, your investments are only going one way-up. That’s the fun part. The not-so-fun part is when the bull market ride ends. In these situations, the market doesn’t just drop like a rock but it bounces up and down sharply for many weeks until settling near the bottom. For some time, the stock market moves so slowly that you’d think the market is done for. You’d think that it was stuck at the bottom or held by some invisible force which prevents it from rising again. Still, it is only a matter of time until the stock market starts speeding up again. Again, there are some ups and downs along the way but, for the most part, the general trend for the market is upward. What I’ve just described above is the typical life cycle of Wall Street stocks. Just because stocks keep going up doesn’t mean they will continue their upward trajectory forever. Similarly, just because the market takes it in the shorts every once so often doesn’t mean it is down for the count for good. You have to keep this mind when playing the stock market. In light of this pattern, the whole idea of avoiding stock market crashes is really pointless. The question is when the stock market will crash not if. 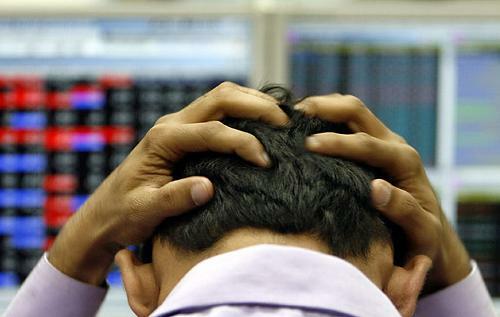 Trying your best in avoiding stock market crashes might lead to you sitting on the sideline as the market establishes a few more records or you jumping in at just around the time the market starts to tank. Instead of avoiding stock market crashes, you would probably be better served if you come up with a plan for making money in the likely event there is a market crash. This is how many big name money managers play the game. Still, if you are serious about avoiding stock market crashes, here are some strategies you might want to look into. While it is impossible to pinpoint when the Dow Jones will crash or the precise time range when the market has reached dangerous levels of overvaluation, it does pay to to be mindful of certain market signs that the market has reached critical levels. Keep in mind that even if the market exhibits these warning signs, these don’t necessarily mean you should cash out all your holdings and start hanging out on the sidelines. Chances are good that you might be waiting in the sidelines as the market continues to reach new records. 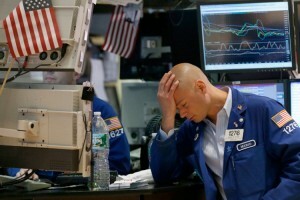 All signs have to be present before you start thinking about the possibility of you avoiding stock market crashes. Be on the lookout for the following warning signs: runaway P/E ratios for cyclical and defensive stocks, extended period of weak GDP growth, pronounced trend of shrinking corporate earnings growth, extended period of weak business spending, extended period of trade deficits, more than two quarters of back to back interest rate growth, among other signs. The key takeaway here is that seeing one or a couple of these signs should not freak you out and cause you to flee the market. Instead, look for combinations of at least five or more of these signs. While a couple or a few red flags appearing can be a fluke and might have a temporary effect on the economy as a whole, seeing five or more of these red flags appearing should definitely be a wake-up call. If you are planning on avoiding stock market crashes, you have to understand early on that a retreat by the stock market is not necessarily a market meltdown. Pay attention to how hard the pullback is and how pronounced it is. Don’t jump the gun and cash everything out. Instead, you should wait long enough to see that the pullback is part of a long-term trend and won’t reverse itself anytime soon. This is not always easy to do. In case you get caught in the middle of what turns out to be a full-blown market meltdown, if you played your cards right, it wouldn’t be that bad. One of the most effective ways in avoiding stock market crashes is to be properly insured against them. One of the most common ways to do this is to, of course, diversify into gold or platinum or one of a basket of precious metals. How does this protect you? When the market crashes, the price of precious metals spike up. They spike up even harder when it turns out the market crash will be a long-term thing. If you devote enough of your total investment portfolio to precious metals, the increase in the price of your precious metals assets might offset your stocks’ paper losses. In other words, you are aiming to break even when it comes to total portfolio value. If you are caught in a crash and have precious metals that have appreciated enough, you should sell the appreciated portion of your precious metals holdings and pursue a dollar cost averaging strategy. Dollar cost what? Dollar cost averaging is about buying a lot more of the stocks that crashed. When you buy enough of these stocks, the average price you paid for your stocks will be closer to the crashed price than the pre-crash price. If you keep buying while the stock is depressed, you will get very very close to the crashed price. Why do this? It only takes a very mild stock market recovery for you to start selling out your crashed stocks at a decent profit. This method of avoiding stock market crashes enables you to use precious metal price appreciation to actually profit from stock market crashes. While the whole idea of avoiding stock market crashes might seem daunting to you, if you have the right strategy getting into the game, you can actually turn stock market crashes and corrections into profit-making opportunities. Seriously. Take a cue from big name money managers-make money when the market is going up and make money when the market is going down. In the end, the best way of avoiding stock market crashes is to sell off a decent chunk of your profits when the market is showing signs of being overbought, diversify into precious metals and welcome corrections so you can swoop in and snap up high-value stocks at a bargain. Instead of merely avoiding stock market crashes, you can actually make money off them.